Cancer treatment is making leaps and bounds, but public focus tends to gravitate towards the therapies themselves. Matt Fellows explores other areas where innovation is creating better patient outcomes. Much has already been said on the advances of cancer treatment, and with much excitement. 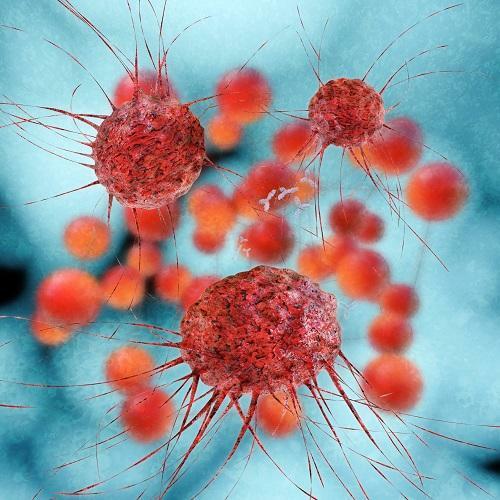 Rightfully so, as the rise of immuno-oncology blockbusters such as Bristol-Myers Squibb’s Opdivo and MSD’s Keytruda continue to dominate the market and rack up an ever-growing list of approved indications around the globe. The benefits they present to patients and the battle against cancer have transformed the treatment landscape, bringing progress that just didn’t seem possible years ago. However, while these treatments are often at the centre of any discussion on innovations within the field of oncology, the conversation doesn’t end there. There is more to the story when it comes to the pursuit of better treatment outcomes, at both extreme ends of the clinical development journey. At the near-end, much of the magic of innovation in the space is occurring in the preclinical stage. From technological advancements such as artificial intelligence and machine learning which leverage complex algorithms to analyse huge datasets and calculate drug targets to optimise development on a scale unattainable by human researchers, to the discovery of novel biomarkers which could broaden our understanding of the disease, the space is rife with new, progressive and effective tools and methodologies which feed into more robust drug development. One such development, announced over the Summer this year, is GlaxoSmithKline’s new $300 million partnership with personal genomics and biotechnology firm 23andMe, a company which has made a very big name for itself in just over a decade by offering direct-to-consumer genetic testing kits. Through the service, users provide a saliva sample via a kit delivered by post, which is sent back to the lab, amplified, and tested against a wide array of variants. By using the service, consumers can gain insight into many aspects of their health and ancestry. As the owner of what is currently the largest genetic database in the world, 23andMe is the ideal partner with which to forge a path ahead in genetics-based drug discovery, so its little wonder GSK moved to secure the partnership. The genetics company previously announced plans to move into drug development back in 2015 with the formation of a new therapeutics division and agreements to supply anonymous genetic data to major players such as Pfizer and Roche’s biotech arm Genentech. By leveraging an estimated 80% of the firm’s existing database of genetic data from over five million customers, GSK hopes to galvanise its drug discovery and development efforts. Matt Nelson, Head of Genetics at the company, spoke to [Pharmafocus] to explain exactly how genetics-based approaches allow for more effective identification of ground-breaking drug targets. “The more we understand about a disease, the better we will be at being able to find a way to prevent, treat or even cure it,” he remarked. “Genetic data can significantly improve our understanding of diseases, helping to explain why some people develop certain diseases whilst others don’t. It can help us understand the disease pathway and how we might disrupt or target it, designing and developing more targeted medicines. “We know drug targets that are backed by genetic information are approximately twice as likely to become a successful medicine, so understanding how a medicine is working can help us avoid unwanted side-effects and enhance the probability that the medicine will be effective. So what does this mean for the new partnership, and the R&D efforts that it will spearhead? ”The collaboration combines 23andMe’s large-scale genetic resources and advanced data science skills, with the scientific and medical knowledge and commercialisation expertise of GSK,” Nelson continues. “We will work together to better understand key genetic effects on disease risk, severity, and progression, and to leverage that information to inform and direct R&D activities. It’s an exciting prospect, and GSK is keen to start work immediately. To this end, it has contributed its existing LRRK2 inhibitor programme as a potential treatment for Parkinson’s disease, hoping that 23andMe’s genetic database can quickly and efficiently identify carriers of a rare genetic variant to aid development – a process which would otherwise be costly and time-intensive. Under GSK’s estimations, there are around one million US patients with Parkinson’s disease, but only 135,000 LRRK2 G2019S carriers, and so just 10,000-15,000 such patients who are LRRK2 G2019S carriers; thus, clinical trial sites would need to genotype 100 Parkinson’s disease patients to find just one LRRK2 G2019S carrier. 23andMe’s database provides the solution, offering 10,000 re-contactable individuals with Parkinson’s disease, 3,000 re-contactable LRRK2 G2019S carriers, and 250 re-contactable LRRK2 G2019S carriers with the disease. The partnership means GSK can quickly recruit exactly who they need, and streamline development timelines far beyond what would be possible otherwise. On the other end of the spectrum, after an oncology drug has successfully proven its efficacy in human trials and made it to market, lies a new challenge, and an endeavour that is arguably equally as crucial: the challenge of rapid cancer diagnosis. This is an ongoing battle and one in which much progress has already been hard-fought over the decades of educating the public, but, because treatment cannot solve the problem alone, there is still more work to be done. [Pharmafocus] caught up with Cancer Research UK’s Head of Early Diagnosis, Jodie Moffat, to get an accurate picture of where these efforts stand today, and why they’re so important. “Cancer Research UK is making a huge investment towards increasing the amount of early detection research that goes on in the field of cancer,” she remarked. “Historically, there’s been relatively little happening in that space so we’re making a big effort to pull together the communities, build the expertise and fund some of these innovations. Moffat identified a key tool in this effort: the multi-disciplinary diagnostic centre (MDC), a concept which began in Denmark and which CRUK, through a partnership with NHS England and Macmillan Cancer called Accelerate, Co-ordinate and Evaluate (ACE), is testing out in various locations across England. “Some cancers have straightforward patterns of display; when the patient goes to a doctor and presents their symptoms, quite often the GP will know exactly what they’re suspicious of and will refer them on a particular route,” she explains. “Patients who present more generic symptoms such as weight loss or fatigue which don’t lend themselves to a particular route – they could be linked to a number of different diseases. It’s clear that both efforts in preclinical development and in more effective diagnosis are crucial in the treatment of cancer, but the important takeaway is that neither can be truly effective without the other. “Earlier diagnosis and access to the best treatments go hand in hand. We don’t want to just diagnose patients earlier – that in itself isn’t going to make a difference,” Moffat notes. “It’s about the treatments that they get and the treatments that are available to them. We know that those more curative treatments like some radiotherapies and surgery are more common and more accessible to those patients who are diagnosed early – normally around Stage I or II; as that stage becomes more advanced, those treatments are just no longer an option for those patients. We see that play out in survival rates. “I think we do actually have to delve a bit deeper into the data and have a look at where that need lies. Where do we find that we’ve got lots of patients diagnosed at a late stage? Lung cancer, colorectal cancer, prostate cancer – these are all areas where we’re getting really significant numbers of patients diagnosed with late-stage disease each year, and the survival that they have is really poor at those stages. There’s a huge opportunity and a huge need there. However, there’s a big challenge standing in the way. “A key consideration is the impact of workforce on both securing early diagnosis and delivering treatment,” Moffat highlights. “The NHS is in really challenging times at the moment; we’ve got an ageing population, so even if we didn’t see any improvements in the way we’re delivering care, we would still see more demand for services. We’re really going to be challenged to deliver the sorts of outcomes we’d like to see and we won’t be able to meet the international outcomes we’re seeing in other comparable countries.